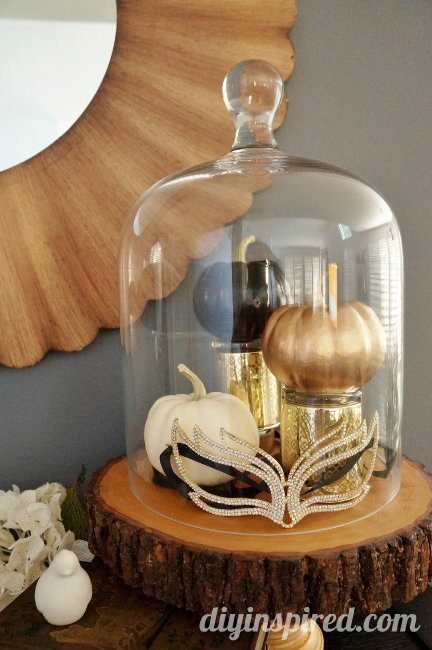 I’m always for some quick and easy Halloween decorations. On my Facebook page not long ago I posted some gold, black, and white skulls I saw while I was out shopping one weekend. 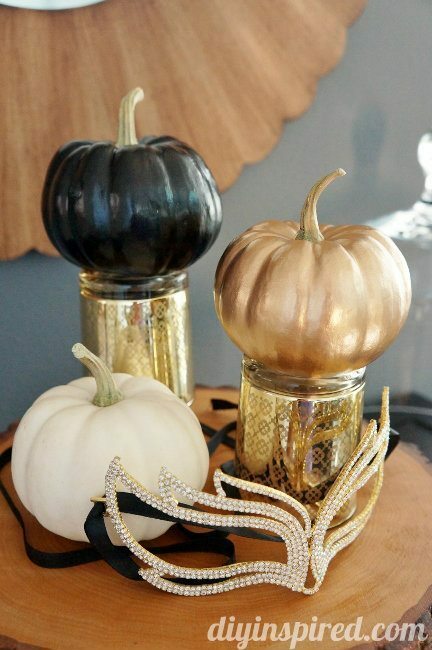 Those were the inspiration for doing this quick and SUPER easy gold, black, and white pumpkins DIY craft. 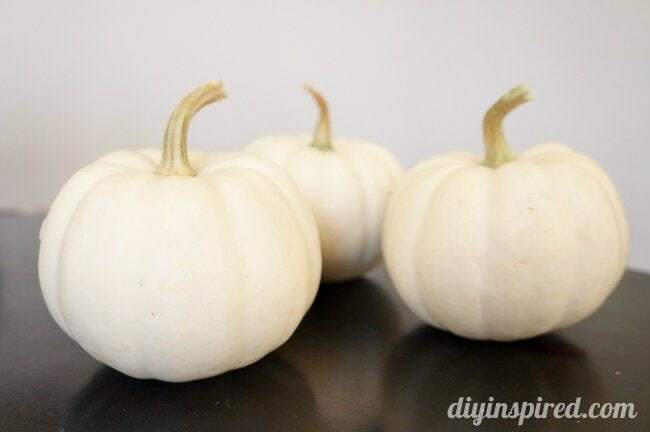 My daughter and I went grocery shopping the other day and saw these cute little white pumpkins for .99 apiece. Without a second thought, I grabbed three. On a side note, I always decorate in groups of three or in odd numbers… anyway, I knew exactly what I was going to do with them as soon as we got home. I had some left over spray paint from past projects. I took some painter’s tape and taped off the stems. 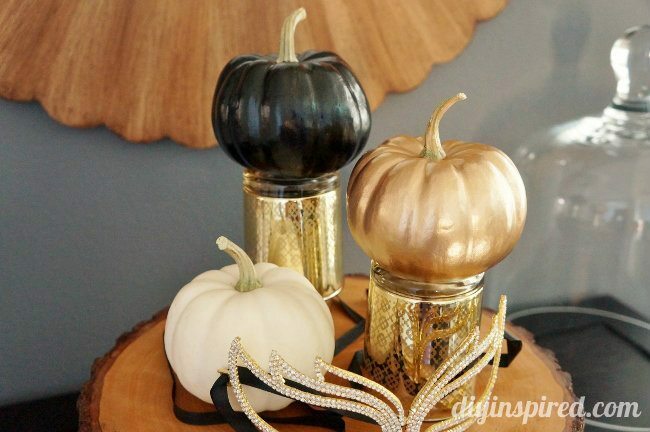 I guess you could skip this part, but I do love the look of the natural stems on the gold and black pumpkins. I sprayed one coat on each pumpkin outside and let them dry. 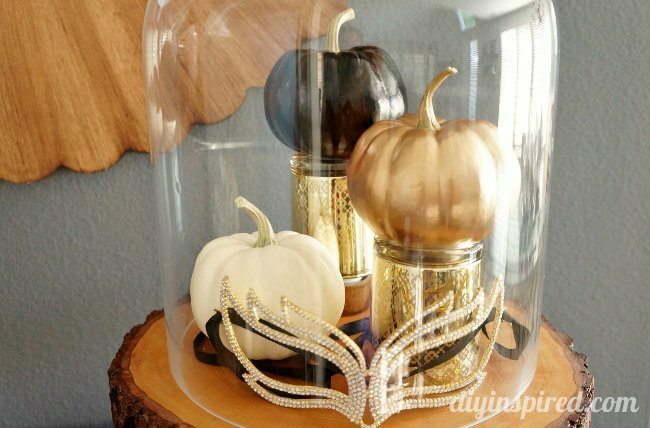 I arranged them on my bar in the dining room/living room area a top of some gold candle holders to put inside my cloche. I grabbed a sparkly mask I had and threw it in there as well. I love the way it turned out. In just 20 minutes including drying time, I had a really pretty $3.00 Halloween display!